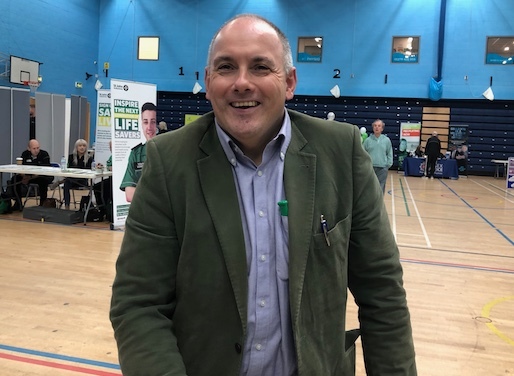 HARLOW MP, Robert Halfon hosted a Jobs Fair at the Harlow Leisurezone on Friday. A whole host of organisations from Harlow College, Stansted Airport, Middleton Murray and Essex Police were on hand to offer guidance and advice on the world of work. YH spoke to Mr Halfon about the Jobs Fair. 2 Responses to "Harlow MP Robert Halfon hosts Jobs Fair"
assisted by the siren of Harlow, Laura Mac. Answers on a post card please to;……………………………………………….who-ever. Good point Micky – I may not agree with all you say but I would have thought ALL parties would be happy to be involved in this case. Or perhaps it would ruin their street cred to be seen working together?